The half century between statehood in 1896 and the end of World War II in 1945 was a period of transformation and transition for Utah. This book interprets those profound changes, revealing sweeping impacts on both institutions and ordinary people. 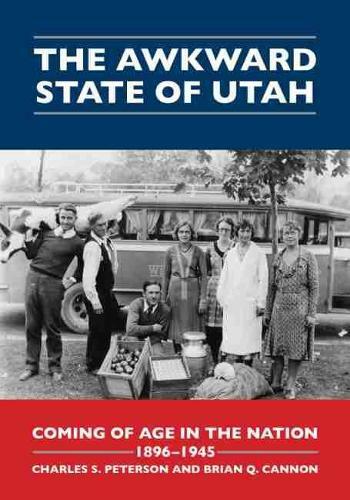 Drawing upon expertise honed over decades of teaching, researching, and writing about Utah's history, the authors incorporate fresh archival sources, new oral histories, and hundreds of scholarly articles and books as they narrate the little-known story of the crucial formative years when Utah came of age. During its sometimes awkward years of adolescence and maturation, Utah was gradually incorporated into the American political, social, and economic mainstream. Urban and industrial influences supplanted agrarian traditions, displacing people socially, draining the countryside of population, and galvanizing a critical crisis in values and self-identification. National corporations and mass labor movements took root in the state as commerce expanded. Involvement in world events such as the Spanish-American War, two world wars, and the Great Depression further set the stage for entry into the modern, globalized world as Utahns immersed themselves in national politics and became part of the democratic, corporate culture of twentieth-century America. Publisher: University of Utah Press,U.S.